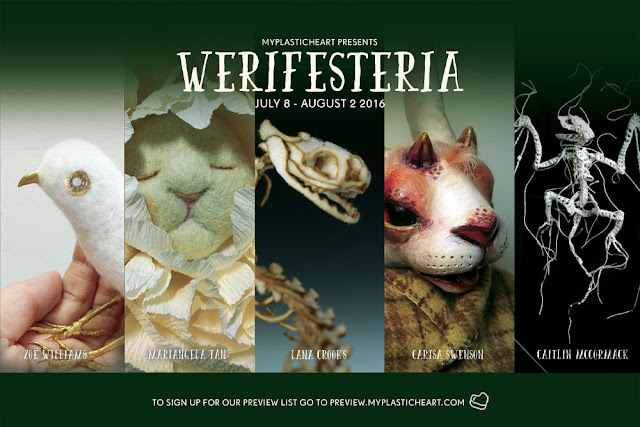 If you are in the NY area, come out to Myplasticheart this weekend! I will have a selection of works at Werifesteria, a small group fibers exhibition about the mysterious woods. Most of the artists will be in attendance (myself included)!